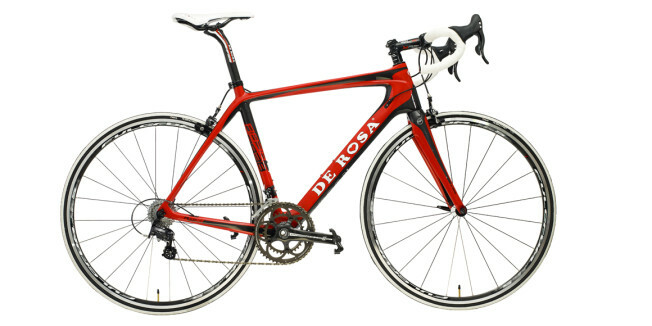 De Rosa is part of an exclusive club, its name nestled among the greats of Italian cycling heritage. That’s reason enough for many devout cyclists to have one on their wish list. In a similar vein, many would argue that it’s sacrilege to swathe a classic Italian brand in Japanese components, so Italophiles will be pleased to see the Campagnolo Athena, Fulcrum, Selle Italia, FSA and Vittoria kit that makes up this R838 test bike. It’s an all-Italian affair. While De Rosa has its share of expensive carbon and titanium in its stable, the R838 sits firmly in the mid range, costing $4,270 with these spec choices. You might be able to sell Italian heritage up to a point but with competition strong and plentiful, there needs to be more of a story to tell than that alone. In this, the latest version of the R838, De Rosa brings it not just up to date but fully prepared for the future. The so-called ‘hybrid electronic’ frame design refers to the frame’s readiness to accept either standard or electronic cabling internally. Swapping the cable entry points accordingly (both styles are supplied with the frame) is a simple and effective way to achieve this. We took a close look at what’s involved and, for anyone with a modicum of knowledge and nimble fingers, it shouldn’t be more than a two-minute job.  The story, then, is about the likely lifespan of the purchase –and its potential to live on through several groupset revisions makes the R838 a stayer in the long-term. And with the Athena EPS groupset now launched, this version of the R838 is ripe for an upgrade with the least of hassle. But that’s for another day. What can you expect from the bike on day one? The first thing that became quickly apparent when I took the De Rosa out on the road was the attention it draws from onlookers, and not just other cyclists either. I caught sight of many pedestrians and loiterers giving an appreciative glance towards the bike, their heads tracking me for a moment, the way a tradie follows a leggy female. During the time I was testing the De Rosa, almost without exception, my various riding buddies and chain gang stalwarts seemed fixated on it. The Thursday gang meets at a bus stop, where one not-to-be-named individual predictably always arrives ten minutes late amid much huffing and tutting. But with the fuss made about the De Rosa I had shown up on that night, he managed to arrive unnoticed, such was the focus of attention on the R838. That’s despite it being the cheapest and essentially ‘least flash’ of the three bikes I was seen out and about on in the past couple of months. Understated it is not. On seeing the kind of attention the bike receives, as I’ve just described, I think the Italian designers at De Rosa would congratulate themselves and stamp their project as ‘mission accomplished’. Riding the R838 out of the driveway and up the road for the first time, I was immediately aware of the type of day I was in for. 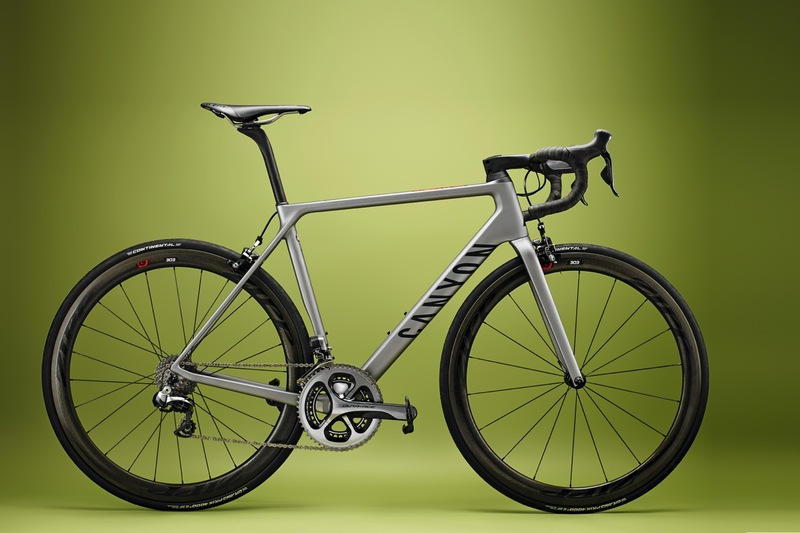 The bike makes no secret of the impression it is trying to make – well built and solid. Work ready. Think along the lines of receiving a really firm handshake. Not the bone-crushing, painful kind, just the kind that says solidarity and composure. No matter what I threw at it, front to back, top to bottom, it felt unflappable, especially with a rider of my more wiry stature on board. If anything, for me it’s overbuilt, but I nudge the scales at 66kg in my pants, and my mass was simply not sufficient to waver the R838’s structural rigidity. Add another ten or even 20 kilos to that figure and this bike will come into its own. And, in my opinion, it’s better to swing the way of overbuilt rather than underbuilt any day. The R838 has the feeling of a frame that is designed to take no chances where flex could be an issue. The sheer size of the tube junctions is telling, but I couldn’t help imagining a ‘one more for luck’ approach to the carbon-layering process – just to be sure. With all this extra beef, the frame should weigh the same as a small car, but that is simply not the case. The high modulus carbon frame weighs in not much over a kilo, so as light as many carbon frames at this price point and stiffer than most. With all this talk of stiffness, it’ll come as little surprise that I didn’t find this the most comfortable ever. I was often left feeling more through my hands than I would have preferred, which is thanks to the tapered fork combined with the bulky headtube that holds firm through the bumps. But once again, this is about personal preference, body size and riding style. I would describe the ride sensation as ‘solid’ and it’s up to you to decide whether this is a positive or negative attribute. Some people will relish the spot-on handling in cornering and sprinting, while others might want a touch more dampening for a smoother ride. One aspect that might be a concern to purists is the frame’s BB30 bottom bracket, which needs cup adaptors to downsize and run with Campagnolo’s Athena chainset. On many bikes I’ve tested that have used the adaptors you can get irritating creaks and squeaks from the bottom bracket, but this is not the case with De Rosa. It remained solid – that word again – and responsive on test rides. The carbon Athena cranks are a desirable choice too, with superb shifting performance, but you could always swap to an FSA chainset (assuming you’re determined to stay in an Italian camp) and get something that specifically complements the benefits of the BB30. The rest of the Athena kit surpassed my expectations, positively reaffirming my belief in Campag performance. Wheels too. Fulcrum’s Racing 5 deliver enough lateral stiffness to keep pace with the frame’s non-budging persona, while helping to dampen some of the worst of the bumps. It’s a package that, like the frame, works and is work ready.